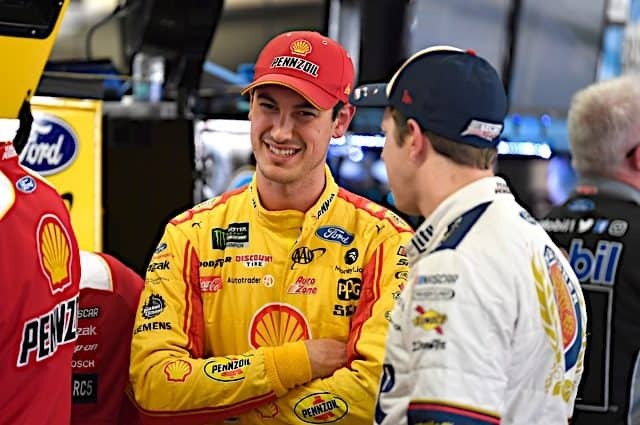 Following a recent trend in this year’s playoffs, Sunday’s (Oct. 21) Hollywood Casino 400 from Kansas Speedway fit what most people would define as a clean race. 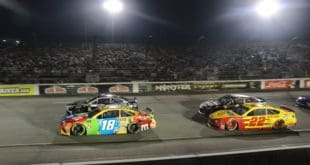 With three cautions (one non-stage) flying across 267 laps, it tied the least amount of yellow in track history, spanning back to 2001 when Kansas was added to the Monster Energy NASCAR Cup Series schedule. 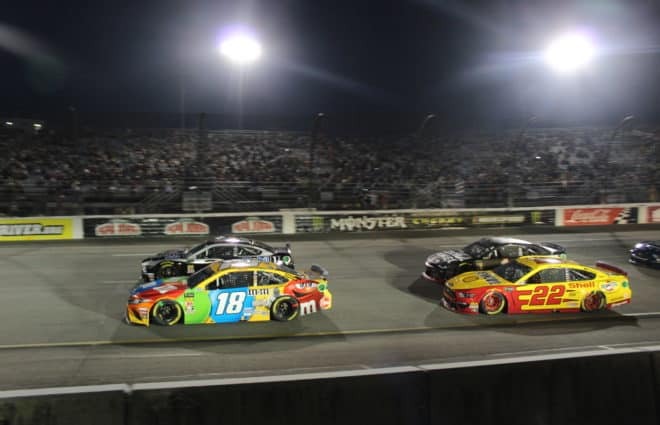 Overall, the series has seen some cleaner events since the wacky kick-off race at Las Vegas last month, which saw most of the then-16-driver grid take a beating. And judging from recent Kansas history, a similar event was expected in only the second 1.-5miler of the postseason. With 25 yellows in both Kansas races combined in 2017, This year broke the trend with only nine. With the day filled with long green-flag runs, it did open the door for strategy to play a role, giving us more than one driver to take (and keep) the lead throughout the day. And though the underdogs generally struggle mightily with green-filled competitions, Sunday wasn’t bad. The top 25 saw five underdogs at the checkered flag with two finding time out front during pit cycle. For the 14th time in 2018, JTG Daugherty Racing had the race’s top underdog. Five of them have now come with Chris Buescher, who was the Frontstretch “Underdog of the Race” after finishing 16th. His No. 37 Chevrolet started 21st, his best oval start since Darlington, and ran 20th on average, his best since Darlington. And similar to that Labor Day Weekend in South Carolina, Buescher stayed in the hunt despite little cautions or attrition. In fact, he made up ground through most of the day toward the 16th spot. It was Buescher’s third top 20 of the playoffs and second straight on 1.5-mile tracks. His teammate AJ Allmendinger was seen in the top 25 in 21st spot, however, jumped out with the lead during green-flag pit cycle. The No. 47 driver led for nine laps, nearly half of his tally for the season. Leading more than a couple laps is new ground for Allmendinger and JTG. His nine laps out front Sunday were the most he’s led in a race since Sonoma in 2016 and his most on an oval in nearly three years. And after leading a lap last week at Talladega, it’s the first time he’s led in consecutive races since Pocono and Watkins Glen in 2014, where he scored his one and only win in the series. Bigger than that, Allmendinger is on the heels of surpassing a Hendrick Motorsports driver in the driver standings, now just four points behind William Byron for 22nd spot. Outside the JTG bubble, David Ragan has been among the best underdogs of the year, capturing “Underdog of the Race” six times and finishing 19th Sunday at Kansas. He’s also the next in line in the championship, sitting 25th behind Allmendinger and Buescher. A 56-point gap, however, may be out of reach to surpass the JTG duo. Matt DiBenedetto was the last underdog who seemed to have a solid day out in Kansas. Running 22nd, it was his best average running position in the last 24 races, since Bristol in April. Late nose damage hindered his potential top-20 day, falling to finish 23rd, three laps down. 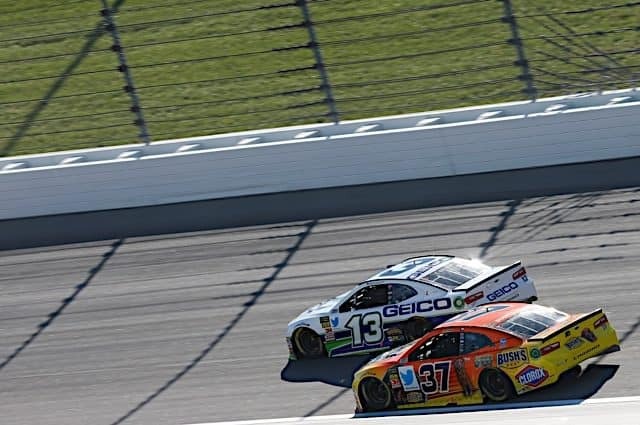 Ty Dillon was 25th for Germain Racing, just south of his season average finish of 24.7. With six top-25 finishes in the last nine races, Dillon has been standing still in 2018 with little progress or improvement. 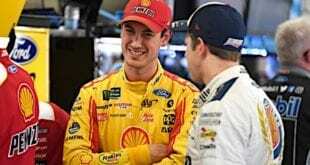 When Dillon managed three straight 21st-place finishes to end the summer stretch, it could have been the start of some sort of comeback to end 2018 on a small rise. But since then, it’s been more of the same. Maybe a short track of Martinsville can offer a shake-up or perhaps the tricky new Texas, where he finished 13th in the spring. 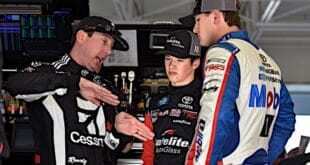 But a productive offseason is surely in the works for Germain Racing. Similar work is likely for Richard Petty Motorsports, who haven’t hit the top 10 since Texas in April. Darrell Wallace Jr. put a 26th-place run together on Sunday, leading two laps under pit cycle in his No. 43. His rookie-season struggle is for real, as the 25-year-old has only one top 20 in the last 14 races. And don’t forget, Wallace earned three top 20s driving the No. 43 in 2017 in only four starts subbing for Aric Almirola. What happened since? Is the mid-pack scramble pumping out more heat? RPM’s manufacturer change? Whatever it is, surely the team is one of the disappointments of the 2018 underdog class. 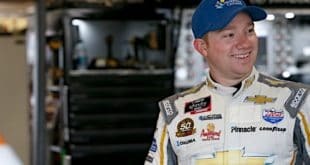 Michael McDowell had his share of good days in 2018, finishing as top underdog twice (Chicagoland and Indianapolis) and staying in arm’s reach of Front Row teammate Ragan for 25th in points. Sunday, however, wasn’t a smooth day, finishing 27th, five laps down. With five finishes of 21st or better in six starts, Regan Smith’s quick improvement of Leavine Family Racing’s No. 95 took a week off in Kansas. Finishing 28th, hitting the wall in the opening laps put Smith behind the ball, fighting loose conditions the remainder of the day. It was his worst finish since 31st in Richmond. Landon Cassill came home 29th for StarCom Racing, beating the likes of Roush Fenway and Wood Brothers Racing. 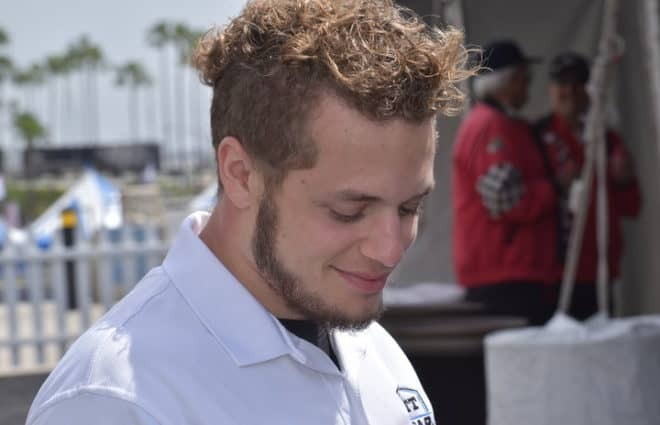 Teammate Kyle Weatherman was behind Cassill throughout the weekend, qualifying 37th and finishing 35th in his fifth start of 2018. JJ Yeley was 31st in his No. 23 Toyota was BJ McLeod was 33rd with Rick Ware Racing. Corey LaJoie was 34th with Reed Sorenson and Jeffrey Earnhardt hitting the garage in stage two in 36th and 37th. Ross Chastain hit the wall in stage one and suffered just his third crash DNF in 2018, finishing 39th. Timmy Hill wrapped up the field, suffering an engine issue after only three laps. The early end made for only 108 laps completed in the last three races, seeing his fifth DNF in the last seven races. The XFINITY Series slammed the door wide open after one corner into Saturday’s (Oct. 20) Kansas Lottery 300. This was when a handful of the series’ top drivers crashed out from the top 10, giving underdogs one of their best opportunities to fill the gap. The first to the line was also the first to hit Twitter after the race and that was Ryan Sieg. The veteran drove his family-owned No. 39 to a ninth-place finish, just his second top 10 of 2018. 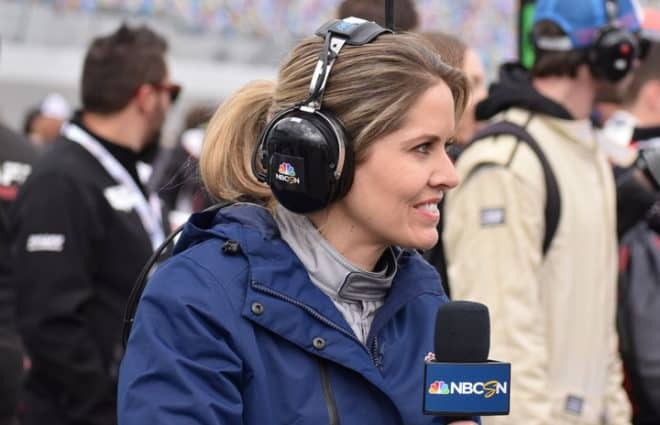 And following the big day for the team, he took to social media in response to the lack of TV time for himself and other small teams from NBC Sports. Statements like this are important ones to make and are often said quietly during the playoffs every season. The viewers want a look into where the championship favorites are running, who’s pitting when, how second place is closing in on the lead. But, that’s not all that’s happening in the race. The XFINITY Series is loaded with small teams and it showed on days like Saturday, where 12 of the top 20 were what we call underdogs in this column. With Sieg in ninth, Jeremy Clements was 10th, scoring his first top 10 since Richmond in the spring. Other highlights included Garrett Smithley in 13th, Quin Houff 14th along with Chad Finchum in a non-plate best 16th. The fact of the day for this Tennessee rookie? He was the highest-finishing Toyota of the day. David Starr also had a non-plate best as did Spencer Boyd, as both drivers finished their best outside Daytona this year in 17th and 19th. Jairo Avila Jr. overcame an early spin for 18th with Josh Bilicki earning 20th, his best-ever finish on an oval. But as Sieg said, don’t wait for TV to give you much insight on what’s happening in the back. P23 today. Had a really good handling car all day and pit crew did a great job! Got damage to the nose late in the race and it cost us a few positions but still a solid day for us. Thanks everyone for the support with the @PlanBSales car! WT Contracting & Dirt, Inc.
Who ever said you had to see over the railing to get an autograph? #KSL300 red carpet in the books! Mistakes, mistakes and more mistakes is my motto lately. I know haters, I need to retire and never drive again. Trust me I know, but imma stick around and keep digging.